If you're looking for wedding invitation calligraphy in New York, browse through our extensive guide to wedding calligraphers in New York. Wow your guests with some of the most beautiful wedding calligraphy in New York! Great Wedding Invitation Calligraphy in NY! Creating traditional and contemporary hand lettering for weddings throughout New York City, Rose Calligraphy & Design has been catering to special events in the five boroughs since 1997. 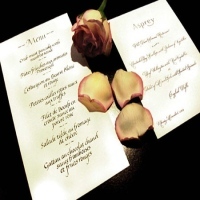 Conveniently located on Manhattan's Upper West Side; the service specializes in wedding invitations, envelope addressing, place cards, menus, poems in calligraphy, certificates, and more. 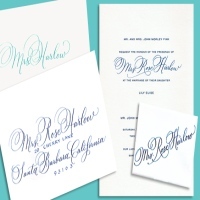 Rose Calligraphy will be happy to match your own invitation font or custom design a style to satisfy your desires. The company will beautifully set the tone for your wedding by adding a sense of romance and elegance. In addition to wedding calligraphy in New York, the place offers calligraphy classes and lessons. A Special Wedding Invitation By Calligraphy by Cathy Volpe! First Impressions are always important and that is why Calligraphy by Cathy Volpe will make sure to impress your guests with a special wedding invitation. With her dedication and skills in calligraphy she will design and customize the best wedding invitations to satisfy your needs. So make your New York wedding special and let your guests see how special it is by letting Calligraphy by Cathy Volpe design your wedding invitations. A Special Invitation By Calligraphy by Mary Anne! 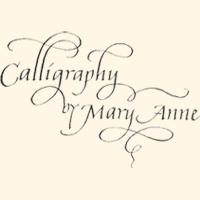 Let Calligraphy by Mary Anne provide their services in making the wedding invitations. They will make sure to provide to you a wonderfully designed wedding invitation where your guests will definitely be impressed by the workmanship. Among the best calligraphers here in New York, Calligraphy by Mary Anne will surely satisfy your desires in providing to you the best wedding invitations for your guests. Have that special wedding of yours and contact Calligraphy by Mary Anne for her amazing service. For more information and details visit the website or contact them at their number. A Special Wedding Invitation By Deborah Nadel Design! 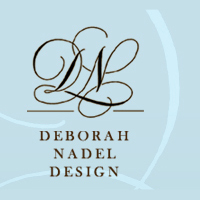 Have Deborah Nadel Design make your invitations for your wedding. They will make sure to make it a wonderful first impression for your guests. With their skills and expertise in calligraphy, they make sure to provide wonderful and detailed wedding invitations that will surely satisfy your desires. So make your New York wedding special and have Deborah Nadel Design design the invitations for you. Visit their website for more information on the prices and other services that they offer. Exquisite Calligraphy By The Delicate Pen by Jane Lebanz! A best choice in having someone make the wedding calligraphy for you, The Delicate Pen by Jane Lebanz will make sure to provide quality and artistically designed wedding invitations that will surely impress your guests. Headed by Jane Lebanz and among the best calligraphers here in New York, she provides well-detailed and impressive calligraphy that will surely show how special your wedding will be. So have The Delicate Pen by Jane Lebanz provide their wedding service and they will make sure to make you amazing wedding calligraphy. Special Hand Written Invitation For Your Wedding! Let Kaleidakolor Calligraphy Studio provide their wedding calligraphy service and you will definitely be amazed by their wonderful work. With their dedication and hard work you will see that each detail of their calligraphy is very artistic and well-defined. A best choice here in New York, Kaleidakolor Calligraphy Studio can surely make your wedding invitations special and very impressive. Contact Kaleidakolor Calligraphy Studio and let them provide the best service that they can offer. For more information on their services visit the website or contact them through their phone. Wedding Calligraphy By Nancy Howell Calligraphy! Make your wedding invitations special and have Nancy Howell Calligraphy do it for you. 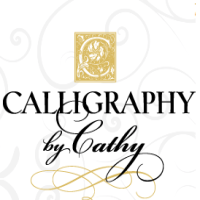 Among the best calligraphers here in New York, Nancy Howell Calligraphy dedicates themselves towards excellence and quality to provide to their clients the best output that they can be proud of. Book your reservations and contact Nancy Howell Calligraphy. They will make sure to make very special wedding calligraphy for everyone to see how special your wedding will be. 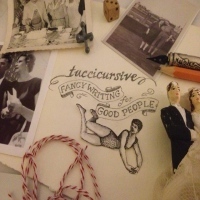 Exellent Wedding Calligraphy By Tuccicursive! Let your guests know how special your wedding will be and have Tuccicursive make the best wedding invitations for your wedding. Each invitation is carefully hand written and designed to impress the reader. Let the best of New York make that wedding invitation and you will be satisfied by their amazing work. So have Tuccicursive offer their services to you and contact them through their website. They will be more than happy to accommodate you with your wedding needs. Beautiful Wedding Calligraphy From Judith Ness Studio! 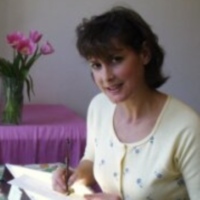 If you're looking for a wedding calligrapher who can design a special wedding invitation for you, look no further and have Judith Ness Studio provide their services to you. Among the best calligraphers here in New York, Judith Ness Studio makes only the best wedding calligraphy that is carefully made to perfection. 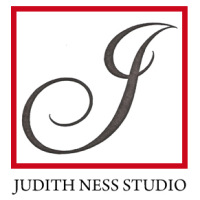 Contact Judith Ness Studio and have them provide the best service that they can offer. Book your reservations and make your wedding invitation special for your guests. Spectacular Calligraphy By Elegant Scribbles! Enjoy your wedding and have Elegant Scribbles make the wedding invitations. They will make sure to make it special where your guests will have a good impression of what your wedding will be like and also their wedding calligraphy will surely satisfy your desires. A best choice in wedding calligraphy here in New York, Elegant Scribbles will make it easier for you and will help you decide on the best options on the style of the wedding calligraphy. 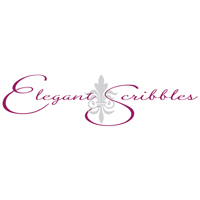 Plan your wedding and have Elegant Scribbles provide their services. You will be sure to find their work truly amazing. 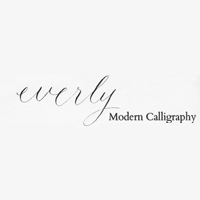 Delightful Calligraphy From Everly Calligraphy! 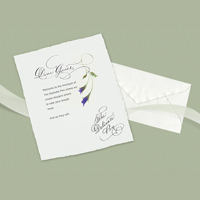 Plan that special wedding of yours and have Everly Calligraphy provide the best wedding invitations for your guests. You will definitely be satisfied by the amazing job that they do. Headed by Jamie Lefkowitz, she will create an amazing wedding invitation that it is well-detailed and artistically designed to fit to the theme of your wedding. So make your wedding special and let Everly Calligraphy make the wedding invitations for your memorable occasion.